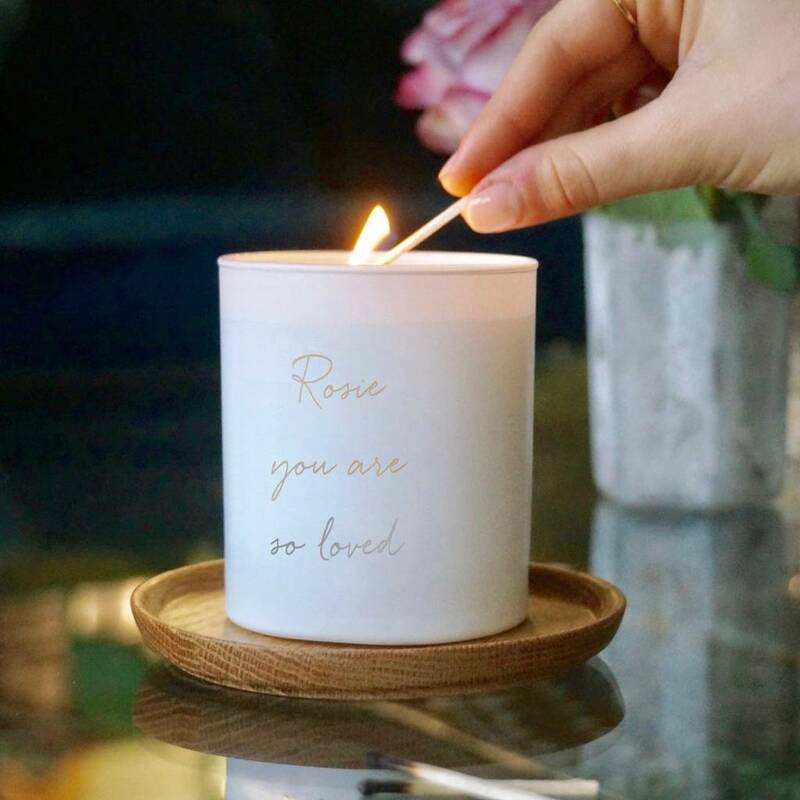 This unique massage and body candle will leave the skin soft, nourished and beautifully scented. 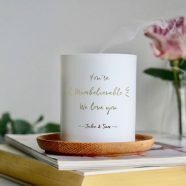 A perfect gift for Valentine’s Day. 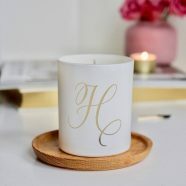 Formulated using natural oils and waxes, this wonderfully scented massage candle provides a luxurious treatment to the skin, helping to soften, smooth and soothe both body and soul. 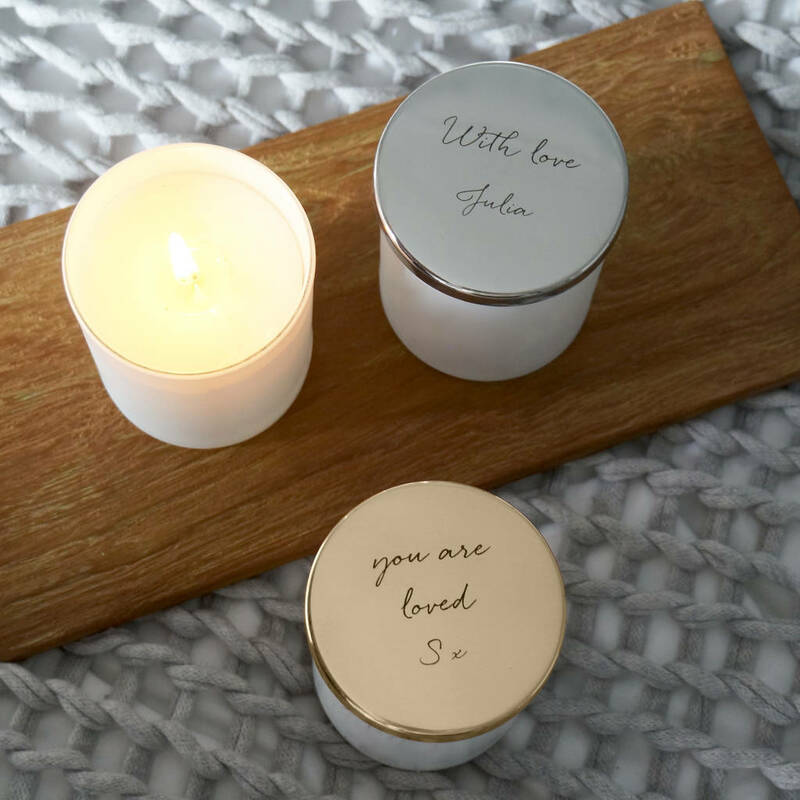 Simply light the wick and relax (take a bath, make a cup of tea…) until a whole layer of the wax has melted (10-15 minutes). 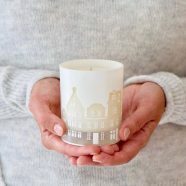 Then blow out the candle flame, cool for 2 minutes and drizzle the warm oil over anywhere in need of repair and rehydration. 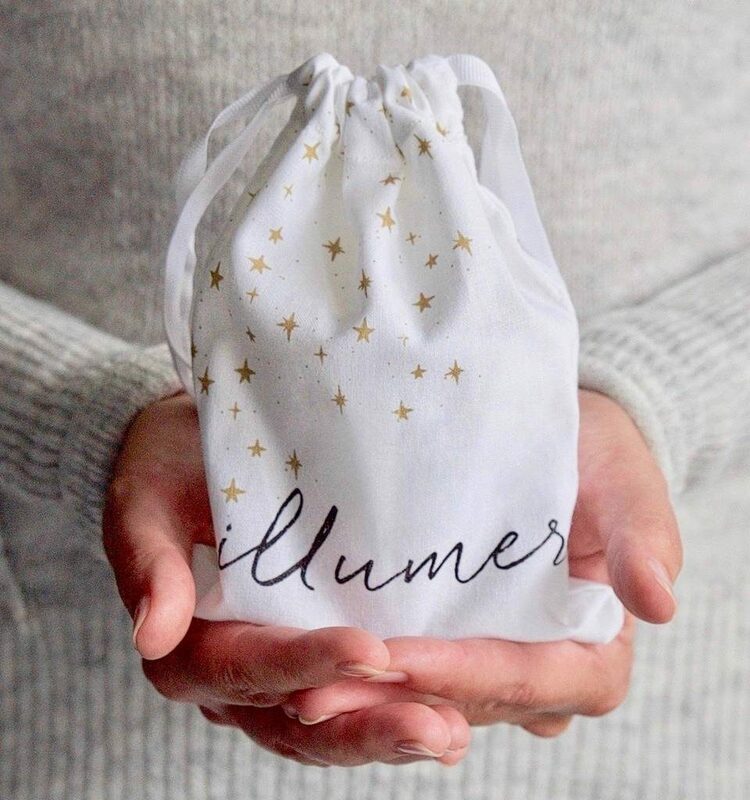 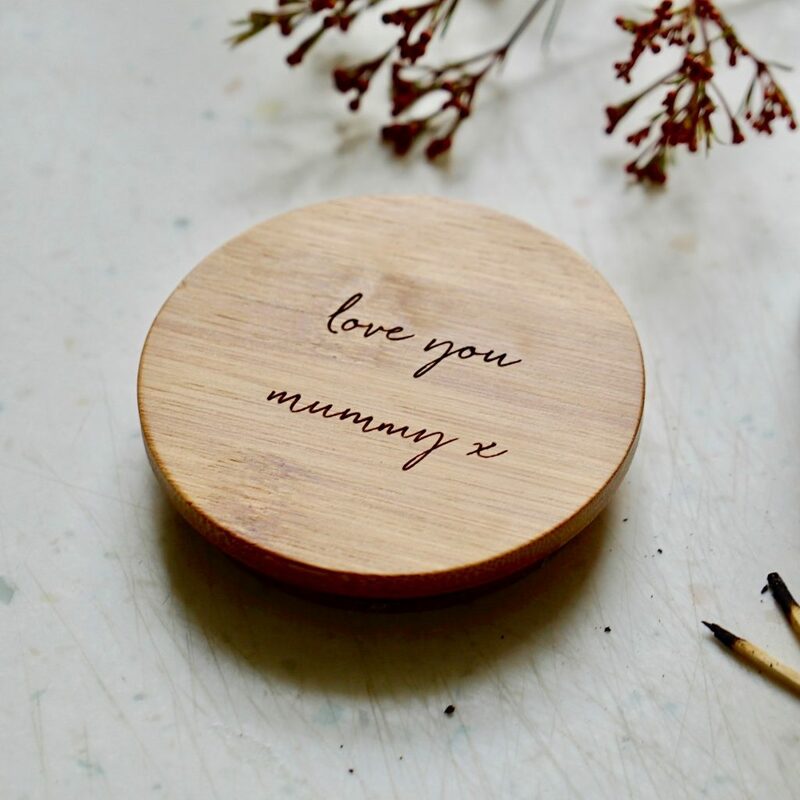 Engraved with your choice of wording which will softly illuminated by candlelight when lit, it’s a truly special present for an important person in your life. 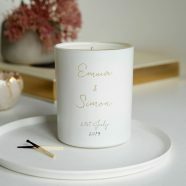 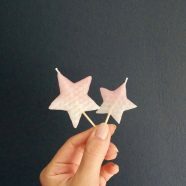 100% natural vegan friendly plant wax, fine fragrance, cotton wick, recycled glass.